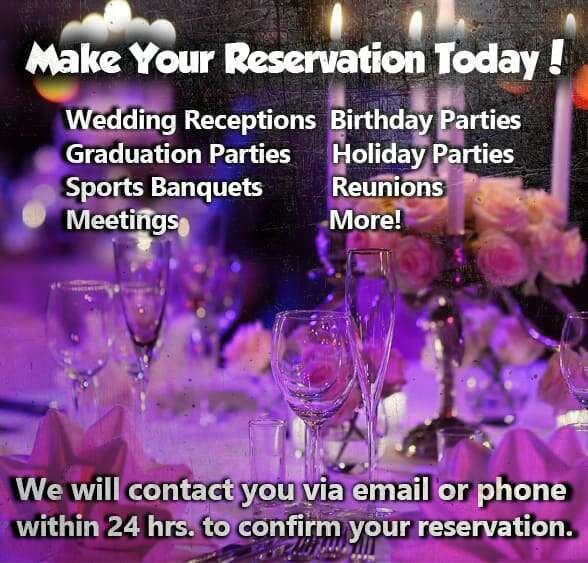 Please contact us to make a reservation for your event. We are delighted that you have chosen to spend your special event with us. Please fill in the information below to reserve your space today. We will contact you via email or phone within 24 hrs. to confirm your reservation. Your reservation is not guaranteed until we contact you with confirmation.